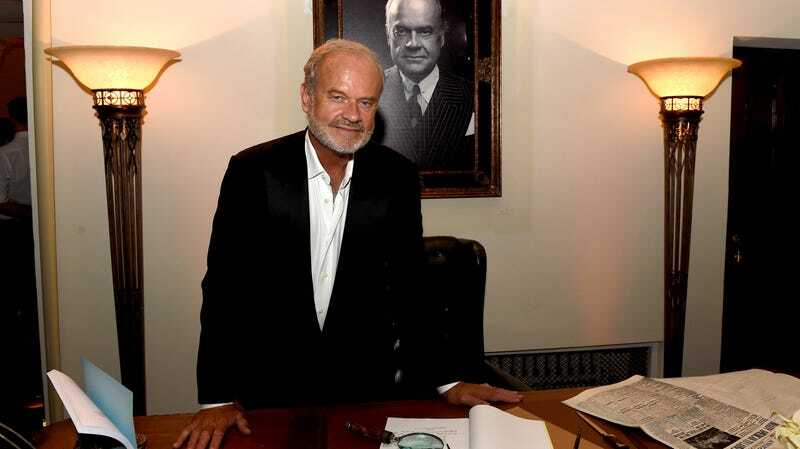 Kelsey Grammer is branching out in his choice of TV acting gigs. Rather than playing an arrogant amoral politician like he did in Boss, or an arrogant amoral studio chief like in The Last Tycoon, or an arrogant amoral lawyer like in Partners, the actor is playing—actually, wait, the last one is pretty identical to his new gig. For those who don’t remember, Partners was a short-lived sitcom for FX in which Grammer played an elitist lawyer who teamed up with Martin Lawrence’s kind-hearted community lawyer to start a new firm. Maybe it was the “comedy” part of TV lawyering he got sick of, because as Deadline reports, now he’s taking on a similar character, but for a drama. Grammer has joined the cast of Proven Innocent, a new legal drama created by Empire’s Danny Strong and writer David Elliott which is slated for a midseason premiere on Fox. The series follows Madeline Scott (Rachelle Lefevre) as she leads a criminal defense firm. Scott is understandably passionate about defending the innocent, given her backstory: “At age 18, she was wrongfully convicted, along with her brother, Levi Scott (Riley Smith), in a sensational murder case that made her an infamous media obsession, a household name and a national cause célèbre.” Grammer is set to play Gore Bellows (now that’s a name, especially if you like hilarious names), the prosecutor who convicted Scott the first time and is convinced she’s guilty, necessitating an ongoing struggle for her to prove her innocence while still working to free others. Mad Men fans should take note: Vincent Kartheiser, a.k.a. Pete Campbell, is also part of the cast, meaning you might get a chance to see Frasier Crane say, “Oh good lord!” to Pete, and then have Pete say it right back to him. Truly, TV is a place where our dreams become reality.